It seems like there is maybe one of Gabriel Voisin’s automobiles that trade hands each year. This year, it looks like this beautiful, windswept C28 Cabriolet is the one you can get your hands on. 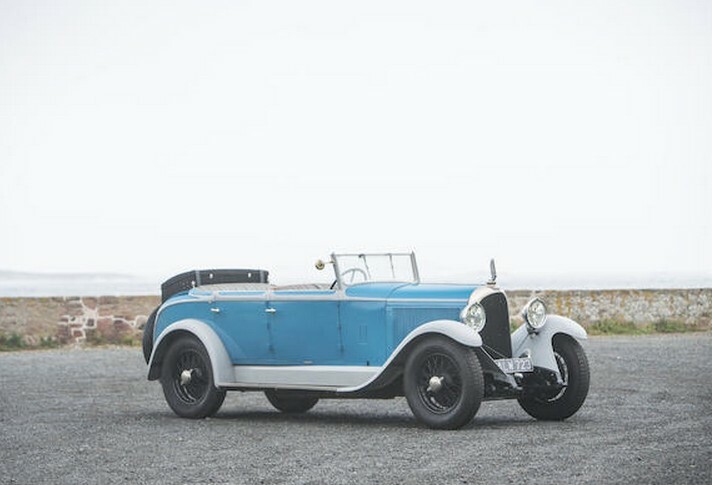 The C28 was introduced in 1936 and we featured a relative of this car previously. Voisin used sleeve-valve engines in his cars. This car is likely powered by a 3.3-liter straight-six with a power rating of 102 horsepower. Racing cars they were not. 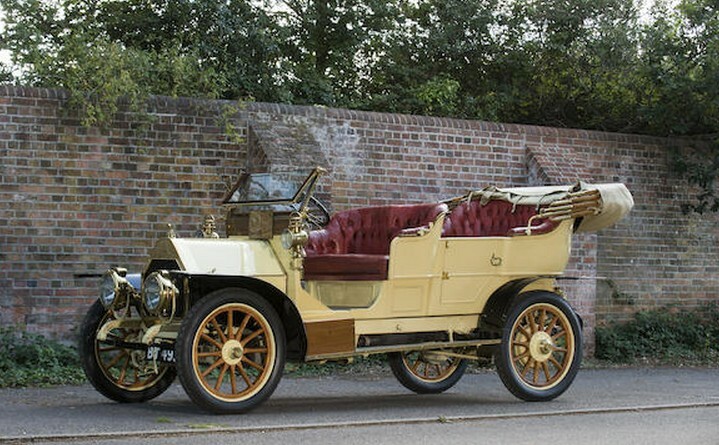 Instead, these were mechanical marvels with beautiful coachwork and sometimes wild interiors. This is one of the more restrained Voisins I’ve seen come up for sale. 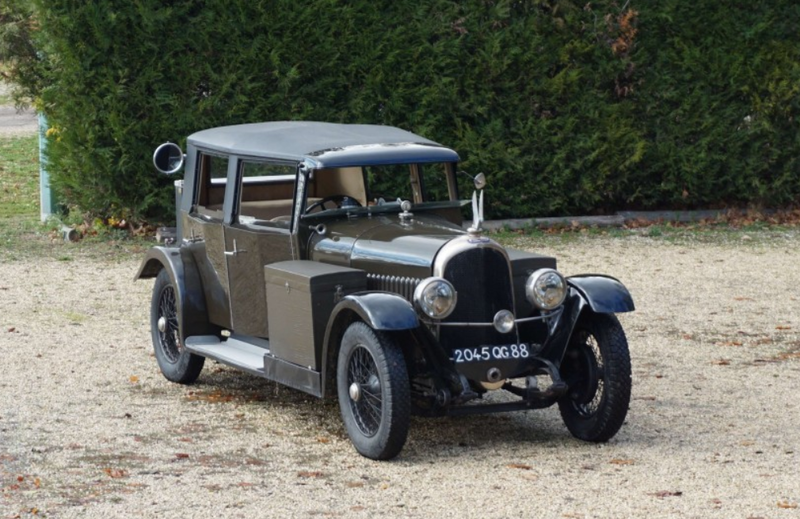 Part of the reason is that the coachwork was done outside of the factory, something that, while common in its day for cars of this stature, was quite uncommon for Voisin. 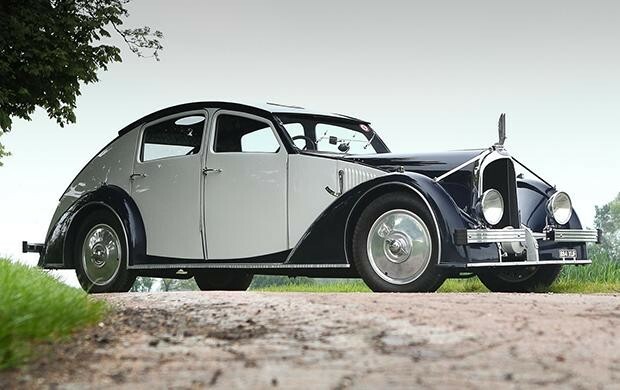 The body was designed by R. Saliot, a Voisin service center. They didn’t have the ability to actually build the body, so they outsourced their design elsewhere. 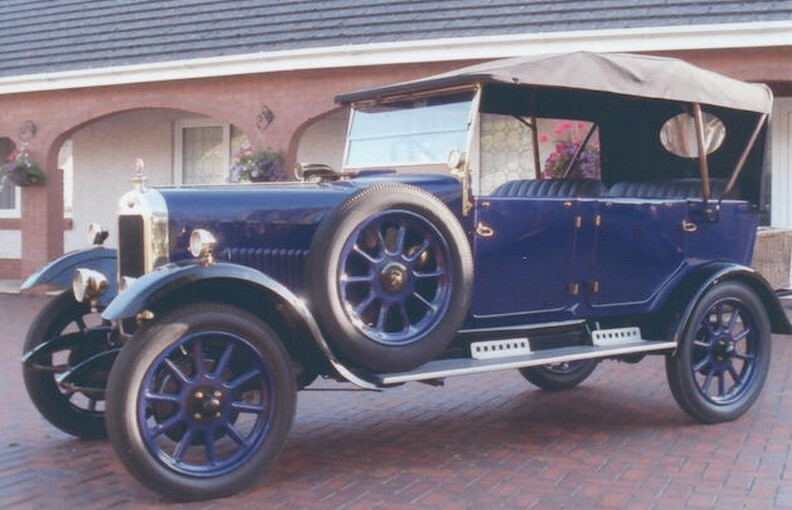 This car is one of two with coachwork known to have been designed by Saliot (the other one won Pebble Beach). It was actually applied to this chassis when it was about 10 years old, which is why it looks a little post-war. It is known that a monk acquired this car before selling it at auction in the late 1960s. Restored in the early 2000s, it comes from a “prominent” collection. Only about 60 C28 Voisins were built and this one is the only one quite like it. Click here for more info and here for more from this sale. Avions Voisin was Gabriel Voisin’s car company that he set up in 1919. He had already sort of conquered the air with his planes, so he switched his focus to the earth and its roads. 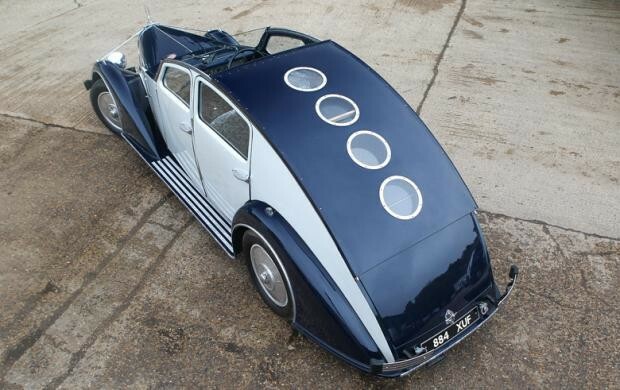 If Voisin built cars today, they’d be called wildly impractical and flashy. But because he did it in the 1930s, they are called gorgeous. All of these words are correct, but gorgeous is the most correct. Interestingly, Voisin chose the Knight-type sleeve-valve engines for use in his cars – the true engineer’s choice. This car uses a 3.3-liter straight-six making 102 horsepower. This was not the fastest car of its day (it’ll do 90+), but good lord, once you start looking at the details and the flawless design, power and speed cease to matter. 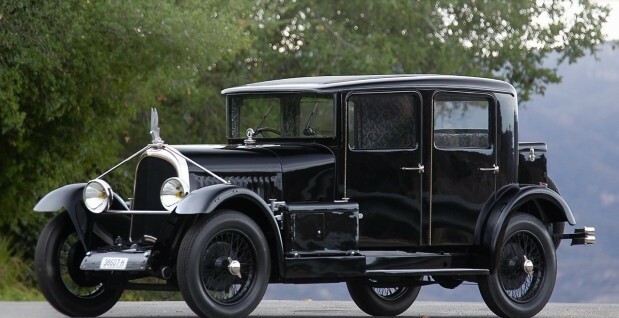 Something to note about Voisin’s cars: there aren’t a lot of them that have some fancy coachbuilt body. In fact, Gabriel himself designed this body and it exceeds what you will find from most coachbuilders. 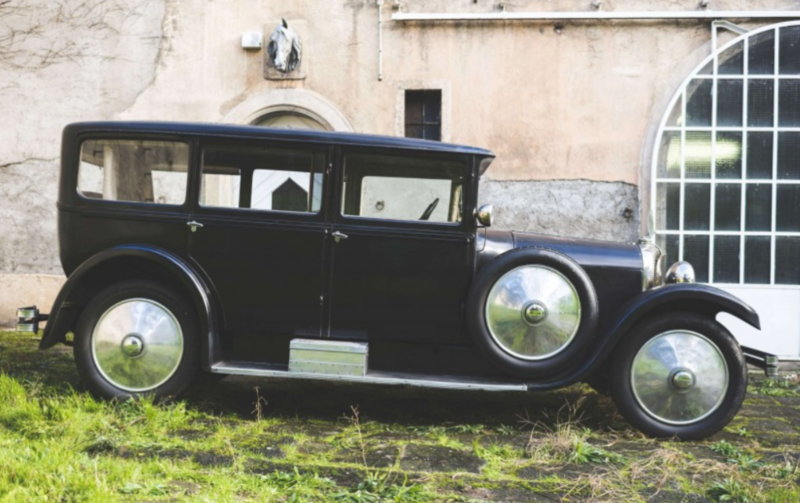 It’s Art Deco from front to rear and this two-door sedan has an unbelievable retractable sunroof that opens the entire top above the driver and front-seat passenger. As is the case with most Voisin’s, the interior is outstanding. This was the first of two C28 Aerosports built. This one was actually damaged in WWII and rebuilt as a four-door sedan afterward. 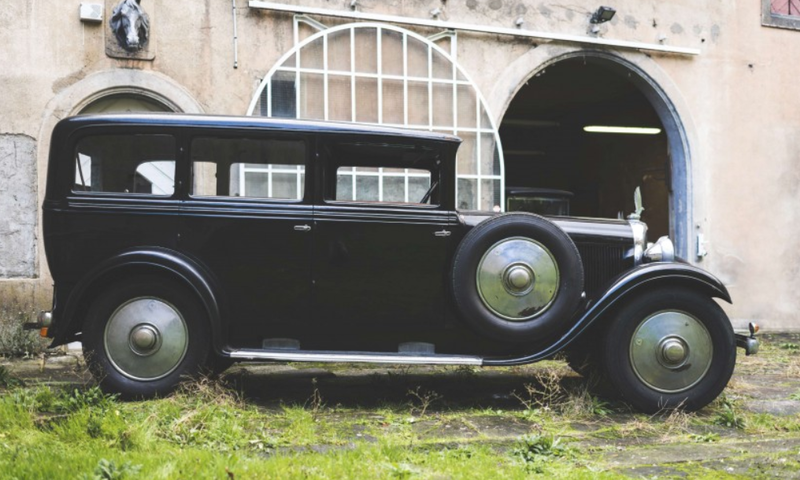 Discovered in 1980, the car was restored to its original glory after the current owner acquired it in 1998. With this car you are buying a moving, driving, piece of art. Click here for more info and here for more from RM Sotheby’s. Voisins are highly desirable cars because they’re just so unique. Gabriel Voisin was an aviation engineer but he was also a former student at the Fine Arts School of Lyon. So the combination of art and engineering really came together with his cars. This C3 is a long chassis model powered by a 4.0-liter sleeve-valve straight-four making 80 horsepower. The body is by Rothschild and features a convertible passenger section behind the open driver’s compartment. 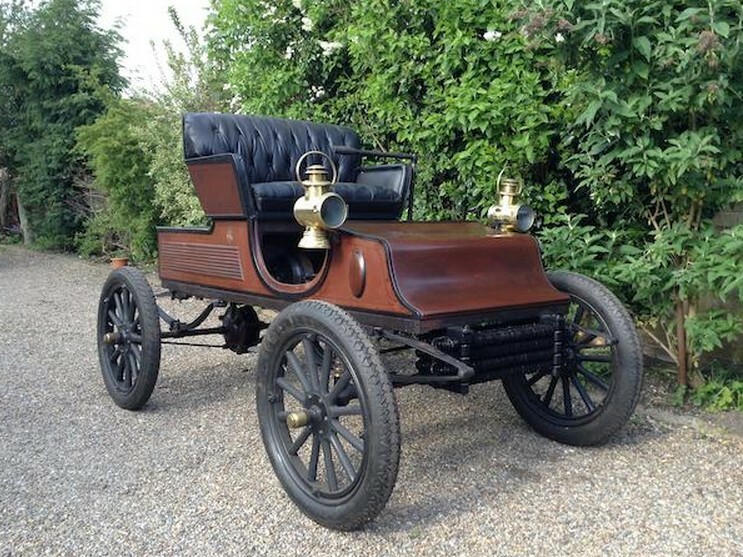 Delivered new to an American architect living in Paris, the car is being offered from the collection of John Moir, who had the car restored. Look for it to sell for between $200,000-$285,000. Click here for more info and here for more from RM in Paris. 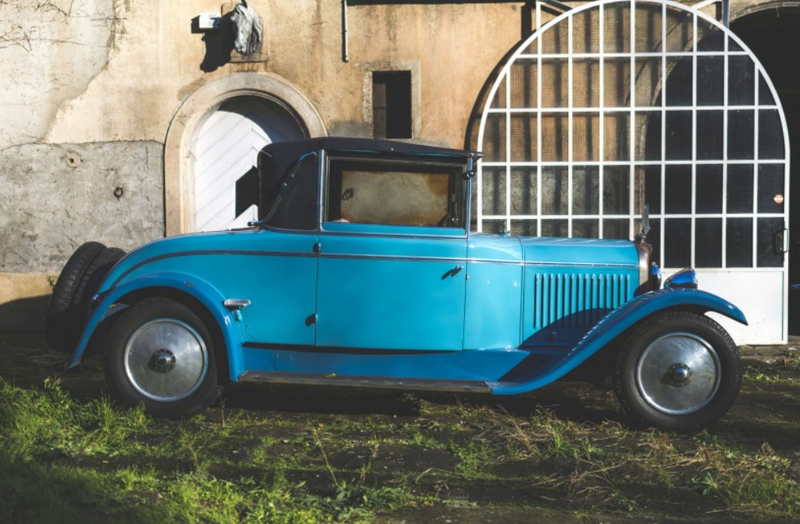 Voisins are some of the most stylish and advanced cars from the coachbuilt era (except that Voisins weren’t coachbuilt – they didn’t need to be). They’re an easy ticket to car show super-stardom, too. Judges (and everyone else in attendance) go crazy over their outlandish features and unconventional design. And rightfully so. 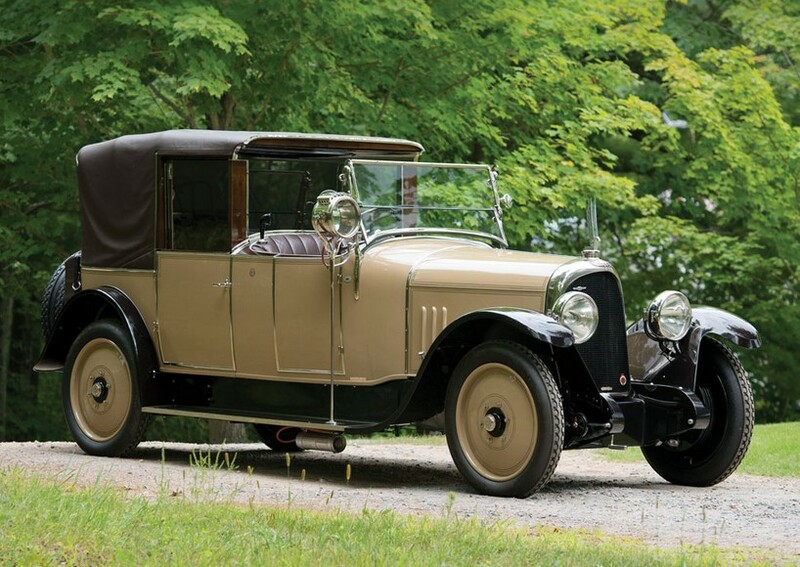 I’m not getting into an argument with myself or anyone else about my decision to refer to this as a “Voisin” and not an “Avions Voisin” as the catalog does. G.M. Georgano refers to it as simply “Voisin” and if you don’t know who that is, then you aren’t in a position to argue against my decision. Anyway, Gabriel Voisin was a French aircraft pioneer who turned to motorcars in 1919. He valued lightness in his cars and worked with a lot of aluminium and alloys (all that aircraft knowledge came in handy). The cars weren’t supposed to be beautiful – but “rational” – that is, functional and efficient. The lines are angular and supposed to serve a purpose. He wanted to build the world’s most perfect automobile. The engines were also efficient – this car uses a 3.0-liter Knight Sleeve-Valve straight-six making 90 horsepower. And it’s a big car, so speed obviously wasn’t a priority. 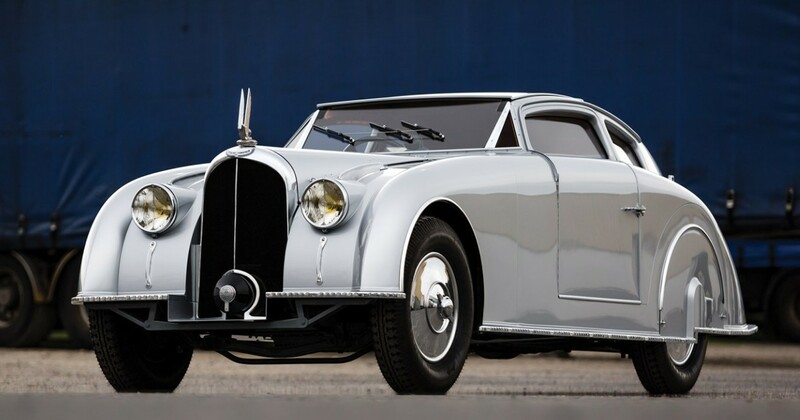 The Aérodyne was introduced at the Paris Auto Salon at the end of 1934. The car was marketed at the most well-heeled clients and was fabulously equipped. The interior is wrapped in a crazy Art Deco print design and the fastback roof is full of portholes for sunlight and the whole thing actually slides back like the world’s first giant sunroof. 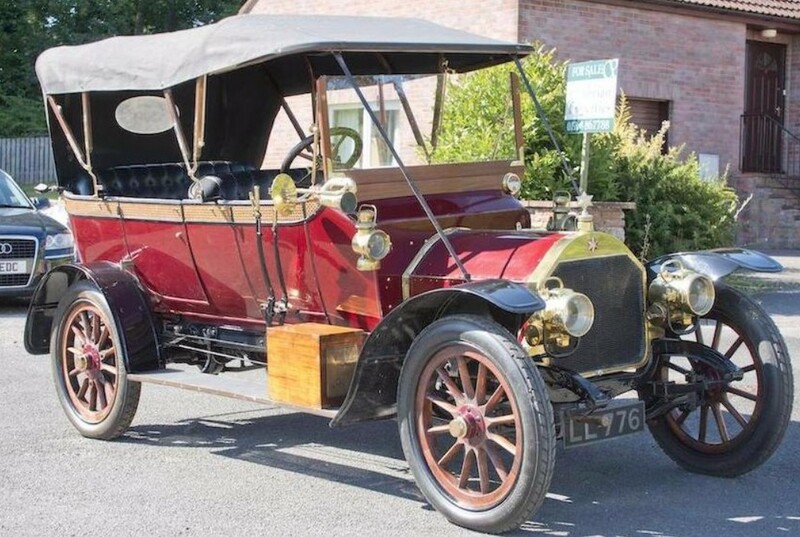 This car was owned by the same man from 1963 until his death in 2008, when the car was sold and restored by its new owner. 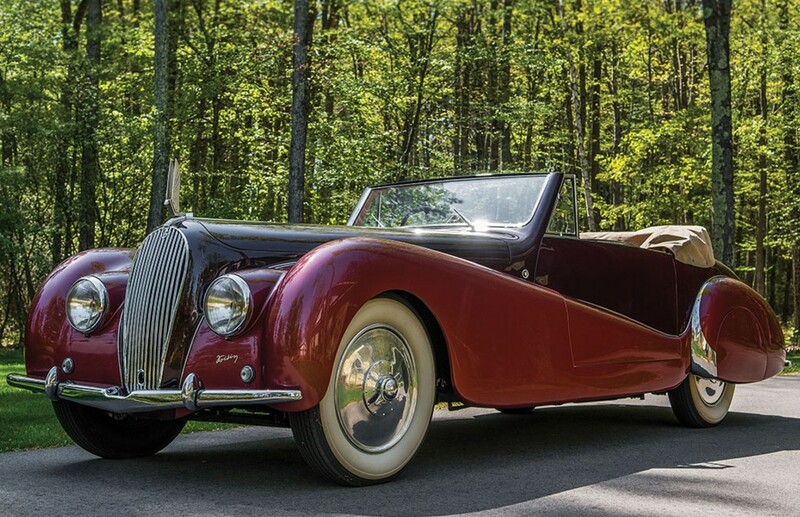 He, the current owner, only displayed the car once – meaning it is ripe for 2014 Concours season. 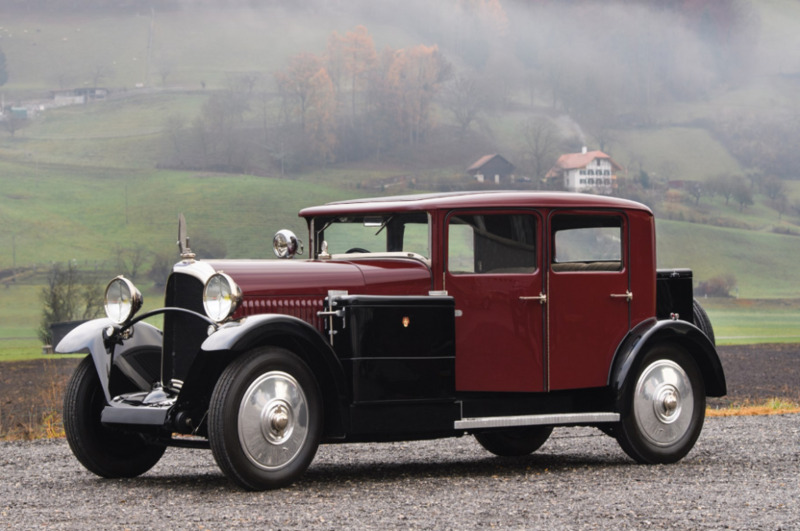 Only 28 Voisin C25s were built and only eight had Aérodyne coachwork. Only four of those are believe to survive today and you can buy one (and you might as well) as it is expected to bring between $2,000,000-$3,000,000. Click here for more info and here for more from Gooding & Co. in Monterey.